Two sisters enjoy many different things, and they also enjoy many similar things. The most important thing they share is their love for each other. 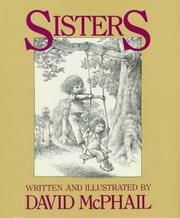 McPhail, David, “Sisters,” Children's Picture Book Database at Miami University, accessed April 21, 2019, https://dlp.lib.miamioh.edu/picturebook/items/show/8753.